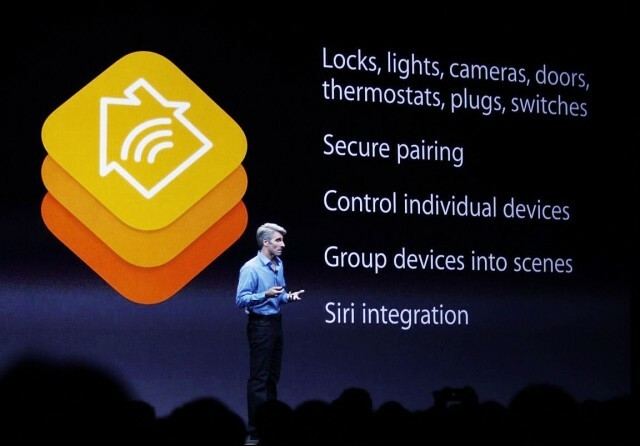 With HomeKit having been announced at WWDC 2014, the slow trickle of devices supporting the framework has been confusing. According to a report by Forbes, it seems encryption of data is slowing the process (and devices). HomeKit requires all manufacturers to adhere to strict approval guidelines. One requirement is that devices which have both Wi-Fi and Bluetooth LE use a 3072-bit encryption as well as an encryption key transfer called Curve25519. Diogo Monica of application distribution platform Docker calls those technologies “bleeding edge.” Lars Felber, a spokesman for hardware manufacturer Elgato, says it took door locks up to 40 seconds to register whether they were locked or unlocked when the company first started working on HomeKit. Another person working on HomeKit hardware (who didn’t want to be named) told Forbes his company’s devices say seven minute lag times with Apple’s encryption regulations. Some chipset manufacturers like Elgato and Marvel are reportedly tweaking firmware and adding more memory to hardware in response to Apple’s encryption rules. Apple is reportedly aware of the problems manufacturers have with its standards. Considering Apple’s hard stance on encryption and user privacy across many of its products and platforms, it’s unlikely the company will relax standards to appease hardware partners. But, when the HomeKit device you want does arrive, at least you can be sure it’s a secure option.